It has been revealed that Chris Grayling, the world’s most inexplicable member of a government, has successfully tied his own shoes unaided just like a big boy. The incident occurred earlier this week when Mr Grayling was preparing for a morning of sweating and staring manically ahead whilst being interviewed on television. His weary mother had gone to tie his laces for him, as she had done every day for the past 56 years, when he revealed that he had managed to do it himself. 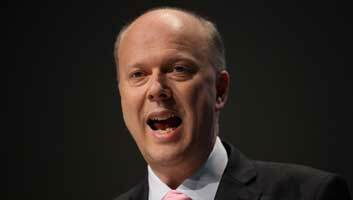 “I’m ever so proud of Chrissy,” said old Mother Grayling. Mr Grayling revealed that it was his several years as Transport Minister that inspired him to finally master tying his shoes. “Shoes, when they have feet in them, are forms of transport,” said Mr Grayling has he sweated and stared manically ahead. “I wanted to really get to grips with how they work, and part of that is learning how to tie the laces up. “I must confess, they’re damn tricky johnnies, shoelaces, and I really had to concentrate hard to push the thing through the loop, but after three hours of trying, I did it. It is understood that must Grayling next plans to learn how to successfully put on a pair of trousers unaided.